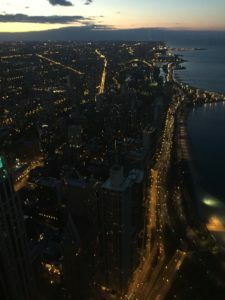 Life has gotten busy the last few weeks, but I was able to spend 36 hours in Chicago last week for BEA 2016. 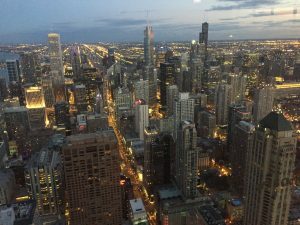 The annual publishing industry conference has been in New York for the last several years, but they decided to move it to Chicago this year to make it easier for booksellers located outside of NY to attend. As a result, there were fewer people, fewer parties, and fewer books at the show, but it was still a good time. I missed the first half-day, but landed early on Thursday and made it to the conference center before the floor opened. 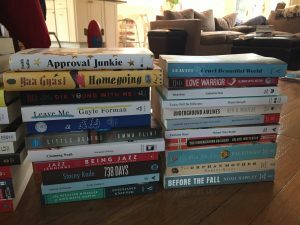 I spent most of Thursday and Friday running around picking up galleys, getting autographs, attending sessions, and generally obsessing over books. 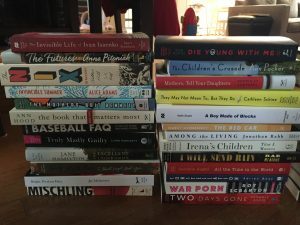 Nicole of Readerly and I made a spreadsheet beforehand of the books we wanted and the times they were coming out, so we were pretty organized and got almost all of the books on our list, thanks to some teamwork and coordination. 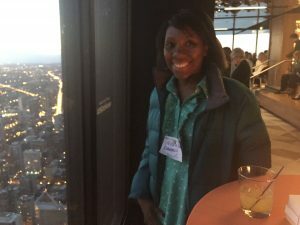 We also went to a Sourcebooks party at the top of the John Hancock building on Thursday night. The views were unbelievable. I also got new books for my almost 4-year old son from his favorite authors – Carson Ellis, David Shannon and Rosemary Wells. He was very happy when I brought them home for him. 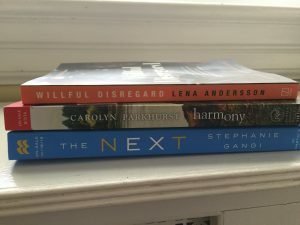 All in all, I thought that the quality of the books coming out this fall was very high. Lots of highly anticipated titles from big names as well as debut authors. There wasn’t as much wattage at the show in terms of celebrities, but the books look great. And that’s what we were there for! So that’s where I’ve been. Over the next few days I have a middle grade book to review, a Curtis Sittenfeld Q&A to post, and hopefully a book (The Heart) to finish. Posted on May 19, 2016 by gayle. This entry was posted in Book Expo, General. Bookmark the permalink. I’m still bummed I missed this year and I’m glad y’all had so much fun! We missed you this year! Hope to catch you in 2017. So happy I had a chance to see you and Nicole in Chicago. Looks like you guys were amazingly organized. It was great seeing you, Candace! Sounds like you had a great show too! It was nice to finally meet you! I was hoping to get a copy of Harmony as well, but they went fast and were gone by the time I got to the booth. It looks like you’ve got plenty of great reading ahead. Hopefully, next time we’ll have more time to actually talk- the show was so hectic. So nice to meet you too! 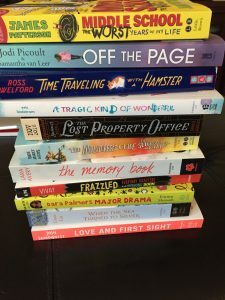 Looking forward to reading your reviews of all of these books.